FELLA H450D 4 Rotor Tedder Hydraulic folding 4 rotor tedder with manual hydraulic wheel angling. 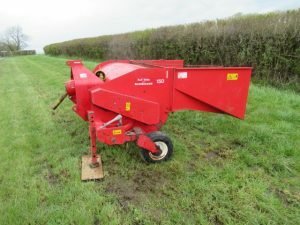 DOWDESWELL 150 Swathwilter Swathwilter with caster wheels; straight tidy machine. 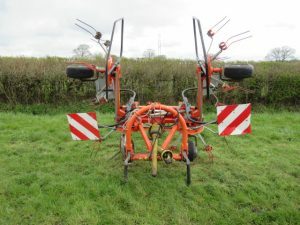 KUHN GA7501 Twin Rotor Rake Twin rotor rake; 2011; tidy. PZ300 Haybob Haybob; straight machine, no welding on headstock. 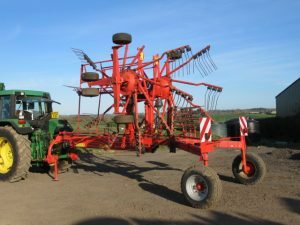 KRONE KW5.52 4 Rotor Tedder 5.5m 4 Rotor tedder; 2012; immaculate condition. TAARUP 9146 Single Rotor Rake Single rotor rake; very tidy.